PokerStars Review 9.3/10 - Get a 100% Welcome Bonus + 20 Free Spins! PokerStars is well-known among poker fans as being the most famous online Poker website in the world that has produced a number of WSOP champions. A couple of years earlier, the website launched an online casino in partnership with Microgaming. Since their online poker games are known far and wide, we decided to play with real money on their casino and make a PokerStars review of our own. At first glance, the website has a standard roster of slots, table, and live casino games, but the library is diverse and there is a huge number of promotions and other enticing offers that set them apart from other best online casinos in the UK. Just like Poker website, the casino is built upon a simple yet strong and powerful platform. The website comes draped in elegant black and red colours that aim to invoke the sense of exclusivity. In addition, PokerStars casino has its own mobile apps, so you can play their games on the go. The website currently has as many as 700 different games. The most populated section is the slots with more than 100 jackpots and about 20 different exclusive games you can find only on their website. In addition, there are around 40 card & table games, and a comprehensive live casino section with 15 different live lobbies. When it comes to PokerStars casino promotions, customers can enjoy 11 different bonuses including a generous welcome bonus, free spins bonus, and rich weekly bonuses. In addition, players can compete for a spot on the live casino leaderboard. However, we have to note high wagering requirements and an unusually complex system of redemption points that are used for redeeming bonuses. When it comes to customer support, PokerStars currently doesn’t have a live chat, which is pretty much a standard feature in the industry. However, members that encounter problems can search through the comprehensive Help page that covers all the basic queries or use the email contact form to seek an answer from the support team. Since we wanted to make a most objective PokerStars review, we decided to deposit and play with real money to get as realistic experience as possible. At the moment, the website accepts 12 different currencies including pounds, euros, and US dollars, while the players can use 14 payment methods with Visa, MasterCard, Neteller, and Skrill being some of them. 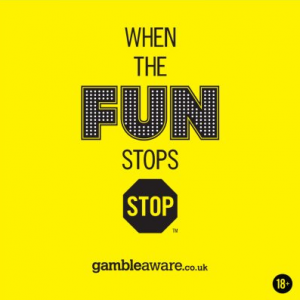 The website is both licensed and regulated by the UK Gambling Commission under licence number 39108, while all games’ RTPs can be viewed from the How to Play page. In addition, all players’ funds are kept on segregated accounts to keep them safe and secure. The promo section at PokerStars contains around 12 different bonuses and challenges, and we’ve selected the most interesting ones. New players can claim a valuable multi-deposit bonus that is valid for the first three deposits. Members that have already used up their welcome bonus can apply for another reload bonus that matches half of their deposit, while all players are invited to take part in numerous daily challenges and win up to $25,000. As if that wasn’t enough, special bonuses can be claimed from the casino’s Facebook page to get random monthly rewards. Before you decide to go on and claim any of their bonuses, it is necessary that you first understand the redemption point system. All of their bonuses come with wagering requirements. However, instead of stating how many times you have to wager through a bonus amount before withdrawing, PokerStars forces you to earn redemption points by playing games. The amount of redemption points you get depends on the amount wagered and the games you play, so if you want to know the complete info, there is a full redemption points table on their website that you can check. Finally, you can apply for the third deposit bonus using the PokerStars casino bonus code ‘WELCOME3’ and get the chance to claim up to 1,000 free spins. Having read the fine print, we learnt that the bonuses probably have the highest rollover requirements we’ve ever seen. As we noted above, you can withdraw your winnings only after having collected a certain amount of redemption points, and in this case, you will have to collect 5 redemption points to redeem $1 of your bonus funds. For example, this means that you will have to wager $44 on live Blackjack or 9$ on live Dream Catcher to get one redemption point, which is absurdly high. If you’ve enjoyed the Multiple Deposit Bonus, you can also apply for their 50% Reload Bonus. All you need to do is deposit at least 25$ and the website will add a half of your deposit to your bonus funds that you can use on any game in their library. In order to withdraw, you’ll have to earn 2.5 redemption points per $1 from the bonus amount, but note that you will have to complete the requirements in the next 14 days or the bonus will be forfeit. The casino offers a standard number of around 700 games on its platform with slots, various live casino rooms, and table games for players to choose from. Live casino fans who want to get competitive can try to place themselves on the live casino leaderboard. PokerStars also offers a multiplayer option for almost all the table and live casino games. In order to provide high diversity, the website has partnered with some of the most famous names in the casino software industry, such as Microgaming, NextGen, NetEnt, and Evolution. The slots section contains approximately 600 titles. The roster comes equipped with 120 jackpot games with prizes ranging from $2,000 to $1,000,000. There are also somewhere around 20 exclusive titles you can find only on Direx N.V. casino sites, while high rollers can find 11 different titles with stakes going up to $100. Finally, the library has dozens of licensed franchises from Warner Brothers, DC Comics, and Paramount, to name a few. This Pokerstars review wouldn’t be complete without mentioning their abundant live casino section with 15 live lobbies containing dozens of live rooms. Members can choose between 5 various poker lobbies with some of them carrying prizes ranging from $200,000 to $2,000,000. There are also 4 Roulette tables and 2 Blackjack lobbies with different stake ranges, but our recommendations go to Live Casino Hold ‘Em and Live Infinite Blackjack with a wide range of stakes. Apart from Roulette and Blackjack, players can enjoy a couple of PokerStars casino Baccarat, Dragon Tiger, and Dream Catcher games, all coming with lower stakes. The last category has around 20 video games including some lobbies from the live casino roster. You can enjoy Baccarat, Poker, Roulette, and Blackjack, but we would like to single out Premium Blackjack and Heads Up Hold ‘Em for wide stake ranges and a multiplayer option that lets you play with your friends. The website is quite intuitive and easy to use due to its simple and modern design, and all the necessary info and buttons you may need are visible from the Pokerstars casino homepage. The top of the page contains your balance display, account information, and the Help button, while the centre is reserved for the category links and the game roster. In the bottom, you can find all the game guides, legal documents, promotional terms, and information on licensing. The website is quite fast, however, you may experience some connection issues if you have a slower Internet connection speed. The website offers both Android and iOS casino apps which players can download to their devices. The app supports both 3G and 4G networks and hosts all the categories from the desktop version but with fewer games; plus you can claim bonuses, join live rooms, deposit, and withdraw. To start your registration, just click on the Join button on the top of the page. A pop-up will appear asking for your country, email, desired username, and password before you can start playing, although you’ll have to verify your identity before withdrawing. When it comes to customer support, you can fill out the Pokerstars casino contact form or visit the FAQ section that covers all the basic issues. There’s no live chat option, which has become an industry standard by now, so we reached them using the contact form. We had to wait for a couple of hours for the reply until a representative replied offering a helpful answer. Both minimum depositing and withdrawing amounts are $10, and it is important to notice that no matter which currency you use, the website will automatically change it to dollars, making it easy to follow promotions and jackpots. The depositing takes up to 10 minutes while withdrawing might take up to 2 hours. However, bear in mind that you can withdraw only once you’ve verified your identity and 72 hours after your last deposit have passed. If you wish to see whether their games are fair, you can visit the PokerStars casino download page for RTP documents for each game they have in the library. Their RNG is tested annually by Gaming Labs International, one of the leading RNG certification agencies. When it comes to security, PokerStars adheres to the UK laws regarding funds segregation, and all data kept on the website is protected by encryption. The website is licensed both by the UKGC (39108) and The Isle of Man (000-039108-R-319334-013). PokerStars offers a wholesome casino experience with its amazing game library. In addition, their rich promo section holds bonuses that prove themselves to be very useful. The only problem we encountered while making our Pokerstars review was the confusing redemption points system, but it completely pales away when compared to their numerous benefits.